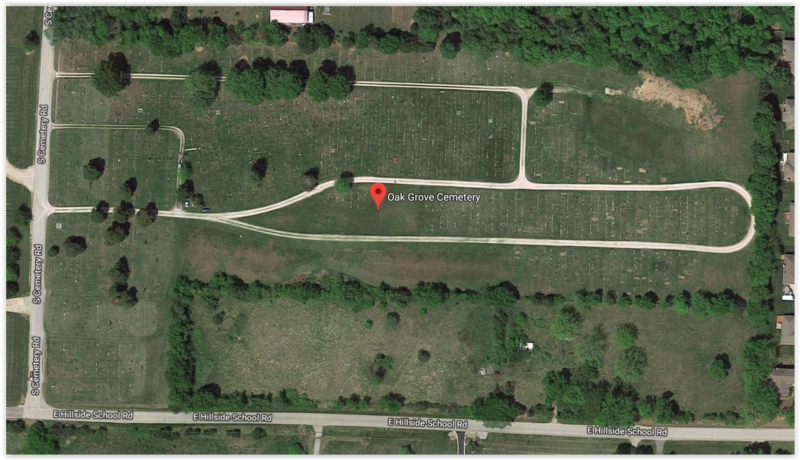 The entrance is on S. Cemetery Rd. at E. Hillside School Rd. and is One Way. As you drive along S. Cemetery Rd. the first drive leading into the cemetery is the main entrance. The next drive is an alternate entrance; however, the third drive is One Way and is Exit Only.